Mark Graves, a 2008 member of the Blue Stars, submitted this photo and caption. This a photo of the Blue Stars horn line in Madison, Wis. after their warm up. In 2008 the corps made the World Championship Finals for the first time since 1979. 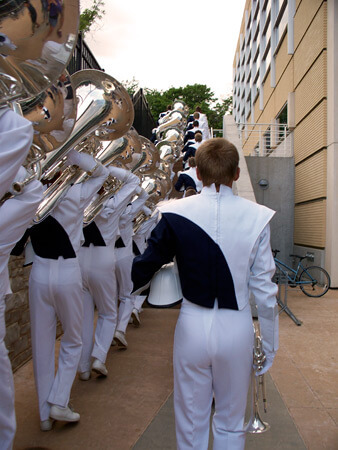 This picture, to me, epitomizes the 2008 season for the Blue Stars and is one of my favorite photos. I had an incredible summer and cannot wait to see what is in store for my team in blue. Good luck this year!